“Is my divorce valid in the Philippines?” In reply to this common query, we usually point to the previous articles in this Forum or politely state that we can only give legal information, as legal advice is for clients only. 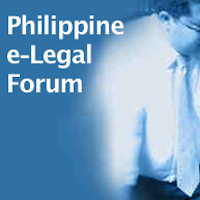 However, given the changing jurisprudence on the matter, we find it helpful to summarize the evolution of the rules regarding the recognition of a foreign divorce decree in the Philippines. There is currently no Philippine law which grants divorce for Filipinos in the Philippines, which means that there is no court or administrative body in the Philippines that can grant divorce in the Philippines. There are pending bills in Congress to allow divorce in the Philippines, but we don’t expect a divorce law anytime soon. The rule in Paragraph (1) above applies when BOTH spouses are Filipinos. As discussed in previous articles in this Forum, it doesn’t matter whether the marriage was celebrated (or the divorce was secured) in the Philippines or abroad. On the other hand, if one spouse acquires a foreign citizenship, Paragraph (4) below applies; if both Filipino spouses become foreign citizens, Paragraph (3) applies. Art. 26. All marriages solemnized outside the Philippines, in accordance with the laws in force in the where country where they were solemnized, and valid there as such, shall also be valid in this country, except those prohibited under Articles 35(1), (4), (5) and (6), 36, 37 and 38. Where a marriage between Filipino citizen and a foreigner is validly celebrated and a divorce is thereafter validly obtained abroad by the alien spouse capacitating him her to remarry under Philippine law. The previous understanding of the second paragraph is this: the divorce decree must be secured by the non-Filipino spouse. This is the reason why in Republic vs. Iyoy (2005), the court disallowed the recognition of a foreign divorce decree obtained in the United States by the Filipino wife PRIOR to her naturalization as an American citizen. Compare this to the case involving a former Filipino citizen who secured the divorce in the United States AFTER becoming an American citizen. In Republic vs. Orbecido (2005), the court stated that the reckoning point is not the citizenship of the parties at the time of the celebration of marriage, but their citizenship at the time the divorce is validly secured abroad. Still, the proper remedy must be filed in court for the recognition of the foreign divorce decree.